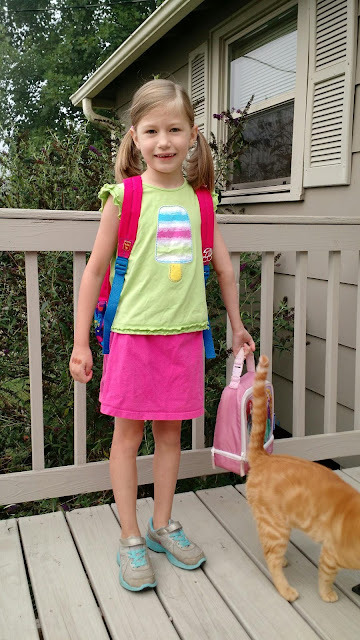 The Life of Mo: First Day of First Grade! Our amazing sweet first grader! Where has the time gone? She looks so happy to beginning this next educational adventure! Praying for her on this first day in her new class! Our sweet girl. She looks adorable! She is growing up so fast. Papa and I will be praying they both have a wonderful day and a good start to the school year. Our Sweet Girl. Can't believe how fast she has grown! First Grade! I know she is ready for it. She looks adorable. Praying for her to have a great day.